New research techniques using data analysis tools are helping to reduce the reliance on animal testing for the identification of skin sensitising chemicals that elicit an adverse immune response in humans. A novel cell-based assay called Genomic Allergen Rapid Detection (GARD) for the prediction of sensitising chemicals identifies markers that are involved in biological pathways with immunological relevant functions. Allergen testing is just one of the testing regimes that new chemical entities must go through. Carl-Johan Ivarsson, Qlucore, explains how data analysis tools can be used to enable in vitro studies to replace animal testing. Over the years, the testing of sensitising chemicals has relied heavily on animal experimentation, leading to calls to replace these animal experiments with in vitro tests. However, to date, no validated non-animal replacements are available for identification of skin sensitising chemicals; instead, most of these tests tend to be carried out with mice or guinea pigs. To the delight of campaigners working in this area, new research techniques are now helping to reduce this reliance on animal testing. In addition, not only will experiments like these help researchers to use fewer animals in the testing process, but they may also yield more useful results, be more cost-effective and correlate more closely to human reactivity. Already, new insights in this area have led to several in vitro tests currently under review by the European Centre for the Validation of Alternative Methods (ECVAM). Dr Ann-Sofie Albrekt is currently working in this exciting area, based at the Lund University’s Department of Immunotechnology, which is headed by Professor Carl Borrebaeck. As an internationally renowned centre for research and education, Lund University is highly regarded for its research in cutting-edge fields, including nanotechnology, translational cancer research, and stem cell biology. 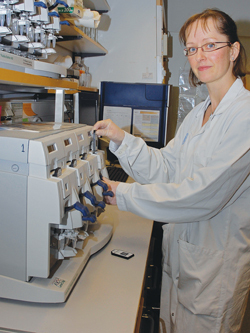 Dr Albrekt currently works in a research group headed by Associate Professor Malin Lindstedt. As outlined in their recent research paper (BMC Genomics, 2011, 12:399), Dr Albrekt and the team have developed a novel cell-based assay called Genomic Allergen Rapid Detection (GARD) for the prediction of sensitising chemicals. By analysing the transcriptome of the human cell line MUTZ-3 after 24-hour stimulation using 20 different sensitising chemicals and 20 non-sensitising chemicals and vehicle controls, the researchers identified a biomarker signature of 200 genes with potent discriminatory ability. In addition, by categorising the chemicals according to the LLNA assay, this gene signature also shows potential in terms of predicting sensitising potency. The identified markers are involved in biological pathways with immunological relevant functions, which can shed light on the process of human sensitisation. As a result of these studies, a highly accurate gene signature predicting sensitisation, using a human cell line in vitro, has now been identified. This simple and robust cell-based assay has the potential to replace completely or drastically reduce the use of test systems based on experimental animals. Because it is based on human biology, the assay is proposed to be more accurate for predicting sensitisation in humans compared with traditional animal-based tests. This has also been demonstrated in follow-up experiments. 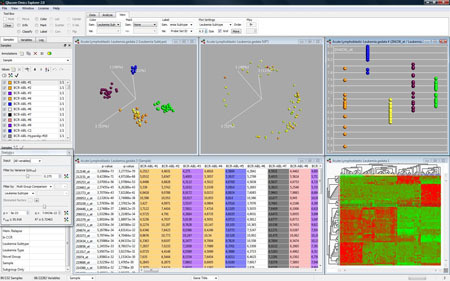 Dr Albrekt is currently using sophisticated data analysis software, called Qlucore Omics Explorer, to help her get the most value out of the data being produced by this research. In most cases, the software that has been designed for use in this area has tended to focus on the ability to handle increasingly vast amounts of data, which means that the role of the scientist/researcher has been largely set aside. As a result, much data analysis has been passed on to bioinformaticians and bio-statisticians. However, in most cases, this model has several drawbacks, since it is typically the scientists themselves who know the most about biology. 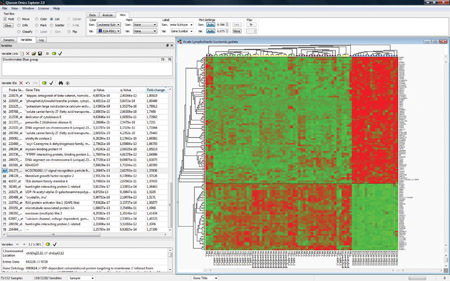 This type of bioinformatics software now enables scientists to analyse very large data sets by a combination of statistical methods and visualisation techniques such as Heatmaps and Principal Component Analysis (PCA). With the benefit of instant user feedback on all actions, as well as an intuitive user interface that can present all data in 3D, scientists studying allergens and other aspects of human biology can now easily analyse their data in real-time, directly on their computer screen. Most recently, perhaps within the past two years, the overall performance of data analysis software has been optimised significantly. 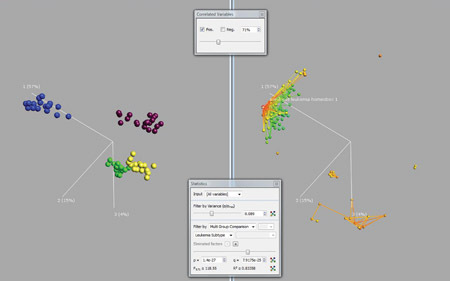 According to Dr Albrekt, modern data analysis software like Qlucore’s Omics Explorer can be used to transform high dimensional data down to lower dimensions, which can then be plotted in 3D on a computer screen and rotated manually or automatically, so that they can be examined by the naked eye. In fact, with key actions and plots now displayed within a fraction of a second, scientists can increasingly perform the research they want and find the results they need instantly – without the wait. This approach has helped to open up new ways of working with the analysis and, as a consequence, has helped to bring chemists and biologists back into the analysis phase, which means that bioinformaticians and biostatisticians are free to focus on their own areas of interest and expertise. According to Dr Albrekt, when conducting her research on allergens, she typically begins her workflow by coding any interesting factors (and confounding factors) into a single file. She could then import this data and look at the pattern of samples to search for both anticipated and non-anticipated sub-patterns. At this point, Dr Albrekt can examine the sub-patterns using the coded factors that she had identified earlier, and then look for any significant differences by using statistical tests. 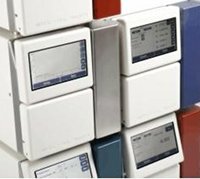 The research team’s microarray data was normalised and quality-checked with the RMA algorithm, using Affymetrix Expression Console (Affymetrix). Genes that were significantly regulated when comparing sensitisers with non-sensitisers were identified using one-way ANOVA, with false discovery rate (FDR) as a correction for multiple hypothesis testing. To reduce the large number of identified significant genes, Dr Albrekt and the team applied an algorithm developed in-house for Backward Elimination of analytes. The selected biomarker profiles of 200 transcripts were designated the “Prediction Signature”. 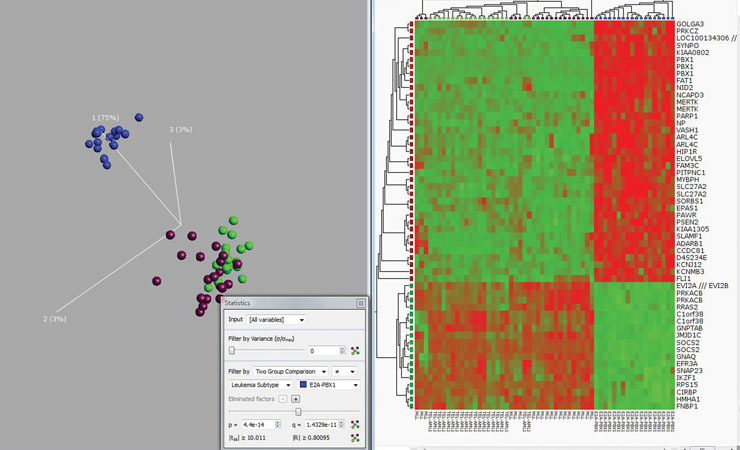 ANOVA analyses and visualisation of results with PCA were performed in Qlucore Omics Explorer. With the freedom, speed and flexibility provided by this approach, Dr Albrekt and the team were able to evaluate and test a number of different scenarios and hypotheses in a very short time. 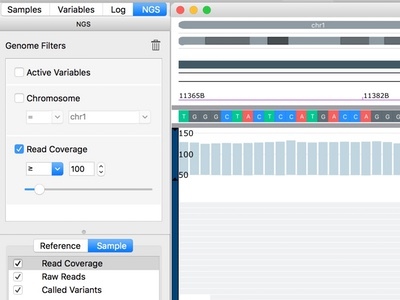 This technique makes it possible for researchers to combine very large amounts of data, and therefore to conduct in-depth analyses in ways that were simply not possible before. ‘I believe that the work we’re doing in this area will not only contribute to the reduction in the number of animals required for safety testing, but also the establishment of more accurate tools for product development,’ she says. ‘We therefore remain very motivated to continue working and making new discoveries in this area, as we are confident that this novel way of testing will be of substantial benefit to people all around the world.